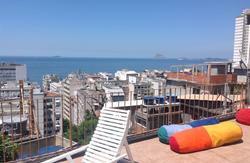 Now you can choose to enjoy the cool spirit of El Misti hostels at our convinient and exclusive location in Copacabana. Stay right in the middle of all the action and where everything happens! You will enjoy good accommodation in a different and entertaining house, that you will never forget! We are located just 3 blocks away from the beautiful and famous Copacabana beach! The area is filled with bars, restaurants and wrold known beaches! The metro station as well as many bus stops are walking distance from us, so you will be able to get around to the city centre, Ipanema, Santa Teressa, Corcovado and many other parts of the marvelous city very easilly. We offer clean facilities with shared dorms or private rooms in comfortable atmosphere. There is an open kitchen, chilling area, internet access, free WiFi, book exchange, bord games, with the best music from chill out to dance-hall reggae. We are glad to provide you with unique service and tips about the wonders of this amazing city and to your further travel.. There are no days alike, it all depends on you, our guests and friends that stay here and make the best of their time in Rio de Janeiro! Therefore we invite you, from all over the world to come and have a great time in Rio de Janeiro and at the new El Misti Hostel & Pousada Copacabana! 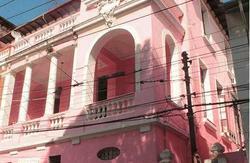 El Misti Hostel Rio de Janeiro reserves the right of allocation for bookings in dorms according to the rates mentioned above. 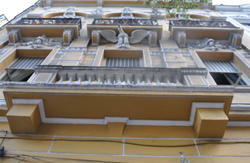 Revellion and Carnival rates are the same for the different types of room, so El Misti Hostel Staff can allocate guests in anyone of the room, without exception. New Year and Carnival - our packages for these periods have flexible check in!Book online with the fix dates and email us the check in date you would like to come with your booking reference!!! -The New Year Eve package has a minimum stayed period of 5 nights starting on December, 27th with check out on January, 3rd. We charge an extra 40% before arrival on your booking deposit for reconfirmation (payable by credit card or through a bank deposit). This amount will be discounted to the total you will have to pay at the hostel. Remember that we only offer dorms for this package. - The carnival package deal has a minimum of 7 nights. The check in date is flexible. We charge an extra 40% before arrival on your booking deposit for reconfirmation (payable by credit card or through a bank deposit ). This amount will be discounted to the total you will have to pay at the hostel. Remember that we only offer dorms for this package. *Remember that we just accept bookings in New Year and Carnival for the packages offered before. If you make a reservation for less days and not including the days mentioned they wont we taken as a valid reservation and you will lose the deposit. *Pick up for New Year and Carnaval will be offered only for flights / buses arriving between 08.00 am to 08.00 pm. If you dont arrive between these times, we can book for you a taxi for R$ 60. Just Let us know! Discounts for longer periods and discounts on groups! Plus, we provide free maps and city guides. *Please if your flight is delayed, let us know! If you dont inform the changes in the time, you will be responsible for the payment of the transfers in. *Cancellations for New Year Package can be made before November, 30th with a 100% refund of the total amount. After that date the amount that has been already paid wont be refunded. *Cancellations for Carnival can be made before January, 15th with a 100% refund of the total amount. After that date the amount that has been already paid won`'t be refund. 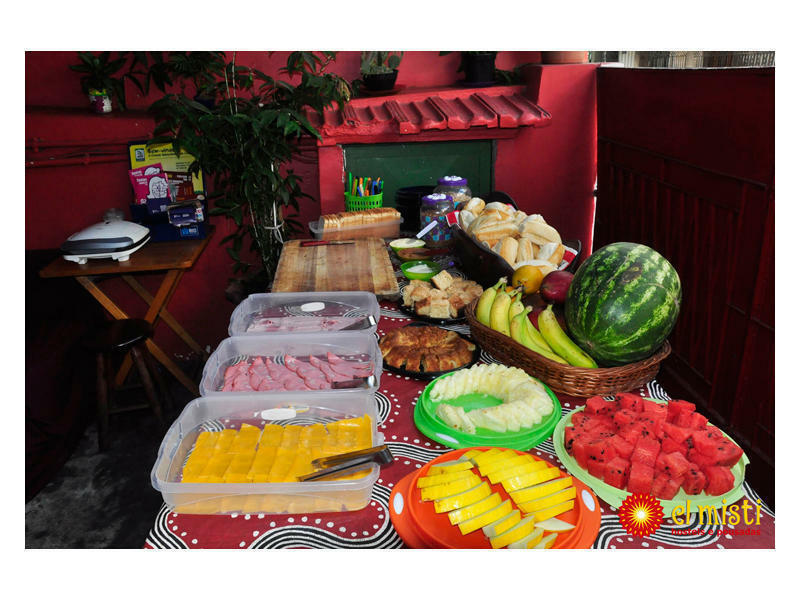 When arriving to Rio, whether by bus or plane, we offer pick up service from the airport or bus station to bring you straight to our little universe here at El Misti Hostel Rio de Janeiro Brazil. If you stay 4 nights or more we will give you a free pickup between 7am and 10pm.